Our favorite time of year is always Harmony, Inc.’s International Convention & Contests (IC&C). Besides being the third anniversary of one of the coolest weekends of our lives, we are always afforded the opportunity to reunite with some of our dearest friends. Plus, we get to spend the week with each other, which is always an adventure in and of itself! This year, we’re looking forward to a fresh format for the Association of Harmony Queens show which allows the audience to design the second half of the show. 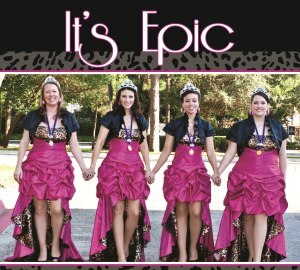 The participating quartets, Epic included, will “parade” out in the first half, singing two back-to-back songs, contest style. Then, the audience will vote on their faves for a second-half encore performance. Fun, right? This is particularly fun for us as we followed a less-than-traditional path to the crown. We expected that our 2012 performance in Orlando would be the first of a multi-year run, and we hoped to walk away somewhere in the medals. Instead, we eeked out a first place ranking (not that we are complaining!! ), which, in essence, retired us from the competition lifestyle! So we are LOVING this year’s approach to the queens’ show. We get to compete again!!! And we’re not even obligated to sing contestable songs!!! We have practiced for weeks on end (that might be a lie) and we are prepared to bribe each and every audience member to garner their votes (that is definitely a lie). In any event, we will have fun (totes truth). So in keeping with Epic’s briefly executed contest strategy, outfits will be an important part of the “contest” package. 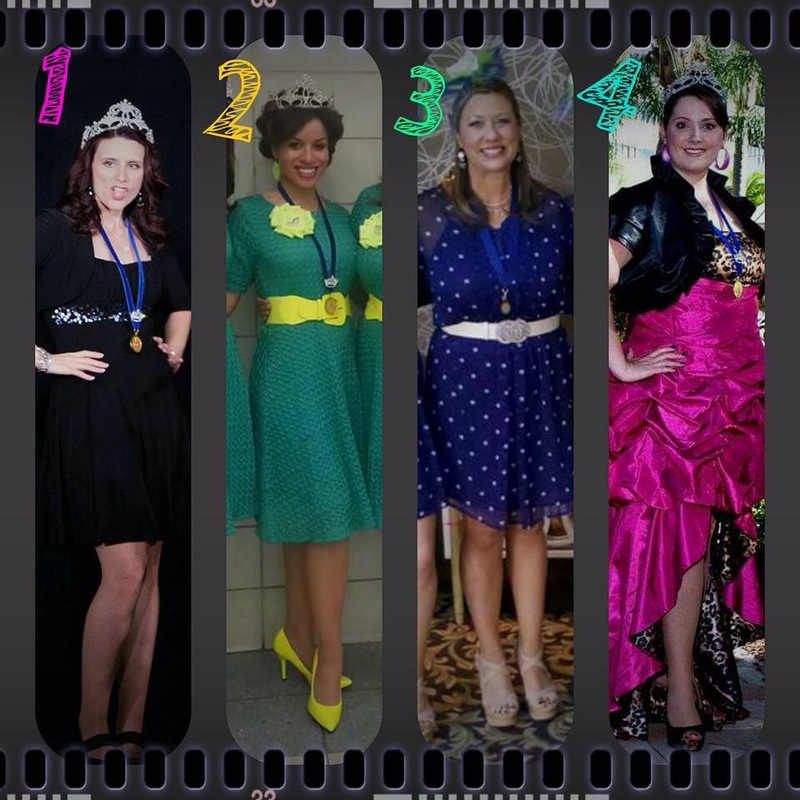 So we must decide….what to wear, what to wear?? Now in a rare moment of seriousness, let us get to the actual point of this post. We want to wish a very heartfelt good luck to all of this year’s competitors. We especially want to take a moment to play favorites with our beloved Bella Nova Chorus, as well as ReVoiced and Halo quartets. Each of us in Epic plays an important role in these ensembles and we look at it as a continuation of the unique, loving, life-changing experience that is Epic. We are more than a quartet; we are a family. And now our family is bigger. And our hearts are bigger. And our IC&C experience is bigger. We are all ready for contest. Let’s go make some memories.